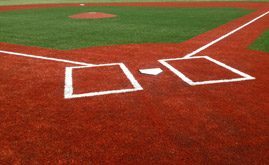 13.5 YEARS IS THE AVERAGE LIFE	of A-Turf fields, while many competitors struggle to meet the obligation of the industry minimum 8-year warranty. A-Turf Titan is the first and only “proven” 12-year warranty. 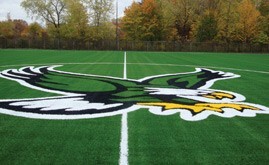 A-Turf® Titan	is the industry’s ultimate synthetic turf surfacing system. It’s an amazingly plush, natural looking surface with outstanding performance attributes, the best safety rating and the longest and strongest warranty. 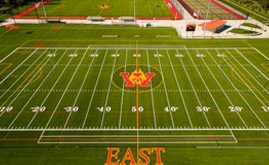 A careful comparison	of all turf systems and an honest assessment of field builders will affirm that A-Turf is the best company and provides the greatest value. You’ll recognize it immediately and appreciate it over the years. ©2019, A-Turf Inc. All Rights Reserved.